Conservatives have been on the warpath against the Affordable Care Act’s individual mandate. 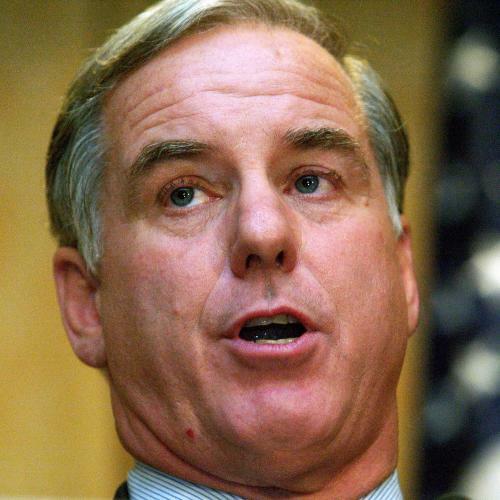 But recently one of the left’s best known advocates of health care reform, former Vermont Governor Howard Dean, chimed in to suggest that the mandate was not as essential as its proponents (like me) have suggested. Writing for the Huffington Post, Dean pointed out that his state enacted health care reform while he was governor. Those reforms did not include a mandate, yet the state significantly reduced the number of people without insurance. If it worked that way in Vermont, Dean asked, why couldn’t it work that way in the country as a whole? Dean has a right to brag about his state’s record in health care--and his role in establishing it. Under his leadership, Vermont enacted Dr. Dynasaur, which focused on improving access to care for children. Vermont is also one of the few states with true community rating, which means insurers can’t charge sick people higher premiums. But does Vermont’s record really demonstrate that the individual mandate is superfluous? Look more closely at what’s happened there--and then compare it what’s happened in nearby Massachusetts. The two states have a lot in common. Both states have community rated non-group insurance markets, generous public insurance programs for low income families and (especially) children, and income-based subsidies to make comprehensive insurance affordable for low income populations. The key difference is the mandate: In Massachusetts, all residents are required to be covered by insurance, so long as that insurance is affordable according to guidelines put out by the state. In Vermont, residents have no such obligation. Governor Dean implies the results are roughly equivalent. But that’s a grossly misleading statement, because he uses Vermont figures that include only children while using Massachusetts figures that include adults as well. If you do an apples-to-apples comparison--that is, include adults in both states’ figures--the difference is pretty stark. Overall, according to the most recent estimates from the Current Population Survey, the rate of uninsurance is Vermont (at 9.9 percent) is more than twice that in Massachusetts (at 4.4 percent). To put this in human terms, if Vermont had an uninsurance rate as low as that in Massachusetts, there would be 34,000 more residents who were insured and protected against the risks of medical bankruptcy. Moreover, while the rate of uninsurance was rising last year in Vermont, it was falling in Massachusetts, as our comprehensively reformed system (including an individual mandate) provided protection against the impacts of the recession. In terms of non-group premiums—that is, premiums for people buying insurance on their own rather than through an employer--Governor Dean is correct that the premium levels are roughly comparable between the two states. But he ignores the fact that in Massachusetts the insurance that is purchased for those premiums is much more generous, and individuals have available to them a much wider array of choices. Consider a 45 year old such as myself who is interested in buying non-group insurance. In Vermont, I would have two choices: Blue Cross/Blue Shield or MVP. Blue Cross/Blue Shield offers two products: a $5000 deductible plan (for $425/month) or a $10,000 deductible plan (for $286/month). MVP offers a plan with a $3500 deductible for $271/month, a $5000 deductible for $230/month, and a $10,000 deductible for $184/month (along with some products with $25,000 or more deductibles). There is one other option: I could qualify for Catamount health, which offers a plan with a $250 deductible and 20 percent coinsurance for $416-$452/month. But first I would have to be uninsured for a year! And that’s not to mention the fact that, in order to gather all of this information, I had to spend a while searching across various web sites run by the state and private entities. In Massachusetts, in contrast, I can simply log on to one website (www.mahealthconnector.org) that presents me with a well-organized set of 41 choices. The state groups the choices into three, easy-to-understand categories--bronze, silver and gold. (Within silver and bronze, there are similarly simple sub-categories: low, medium and high). For comparison to the Blue Cross/Blue Shield and MVP options I found in Vermont, consider the low cost bronze option. In that option, I have choices ranging from premiums of $291/month to $468/month, which are comparable to the Vermont offerings. But these are for plans with at most a $2000 deductible, rather than the $3500 or more deductibles in Vermont. I could even get a plan with no deductible for only $414/month, the same price as Catamount health--but I wouldn’t have to go uninsured for a full year to qualify. The bottom line seems pretty clear: Here you have two states with relatively similar systems, except for the individual mandate. The state with the mandate has fewer than half as many uninsured, plus non-group market with a much wider variety of options that provide much better coverage at comparable prices. With all due respect to Governor Dean, his good work, and his fine state, I’m glad I live in Massachusetts--and that it’s my state’s model, not his, on which the Affordable Care Act is based. Jonathan Gruber is a professor of economics at MIT and member of the Massachusetts Health Connector Authority Board. He has served as a paid technical consultant to the Department of Health and Human Services and continues to advise policymakers about health care reform.